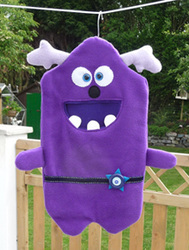 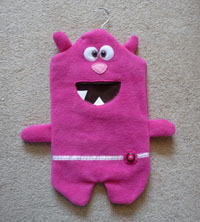 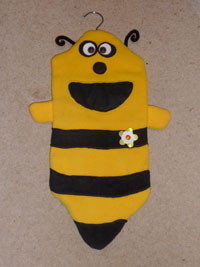 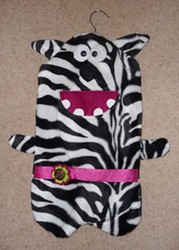 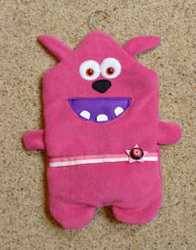 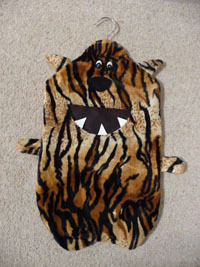 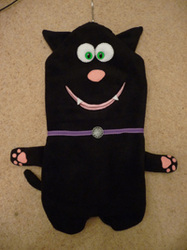 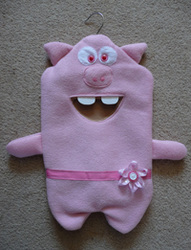 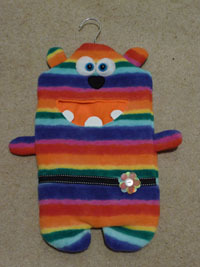 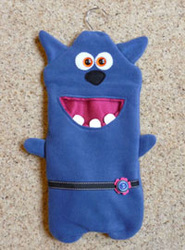 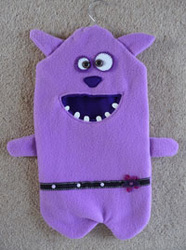 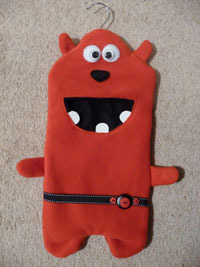 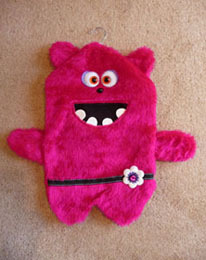 Monster helpers cost from £18 (inc p&p). 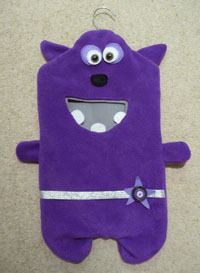 Seen one you like or want a custom one made? Monster Helpers have been lovingly handmade at Emma's Planet - there is never one quite the same as you can see from the gallery below. 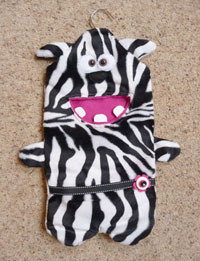 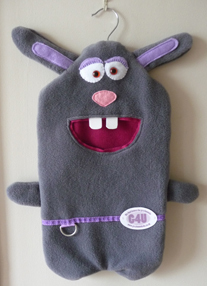 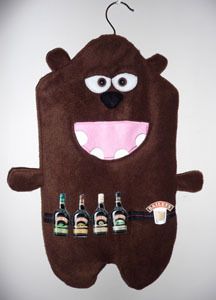 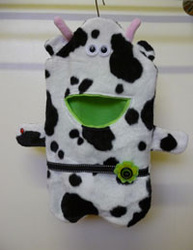 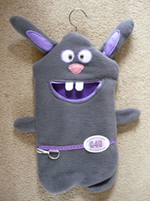 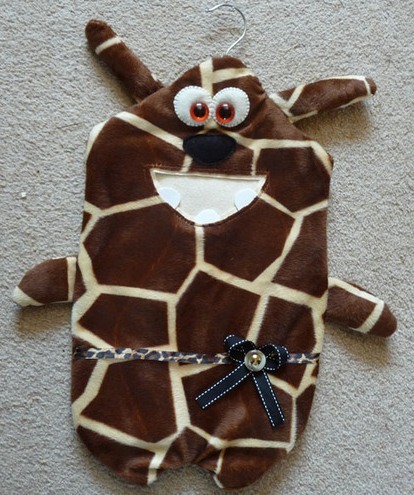 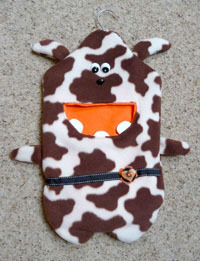 They make great peg bags and storage holders for a range of items like pegs, hair bands, dog treats / leads, sewing kit (basically anything you can fit into its mouth. 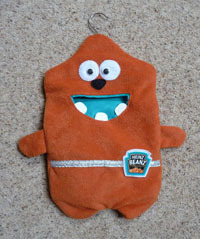 They are supplied with a unique adoption tag, detailing their name, date of birth, likes and dislikes (all of which you can choose for yourself). 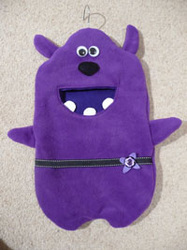 Important note: Monster helpers will not digest the contents you place in its mouth, but it will store it for you when you need it. 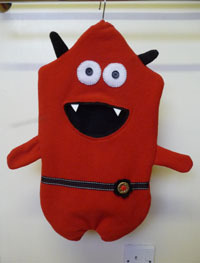 All monsters have been trained* to hold any item you place in its mouth. 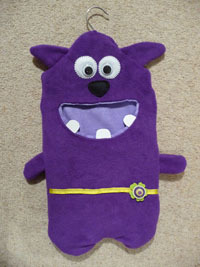 *Trained = at the Monster School of Storage on Emma's Planet. Below is a gallery of all the monster helpers that are assisting their owners. 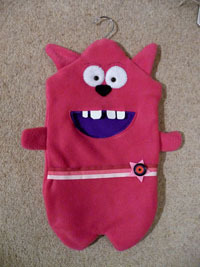 Hover over each image to find out more about each helper.